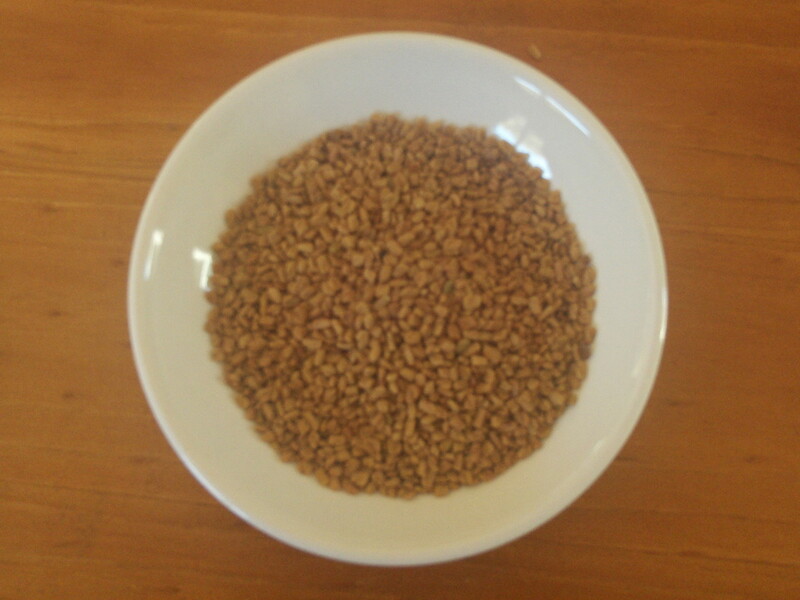 Fenugreek seeds are yellow brown, smooth yet hard and have a deep diagonal groove that divide each seed. The seed come whole and ground. The seeds are bitter tasting, but when they are lightly dried roasted, their flavour mellows and some of the bitterness is removed. The aroma of roasted fenugreek is like that of burnt sugar, and its taste is comparable with maple syrup. Once roasted the seeds are use whole or ground. Fenugreek is an important spice in India, Egypt, Saudi Arabia, Iran, Armenia, and Turkey. The seeds pair well with fish and lentil and are commonly used in fish curries. Vegetaians in India dry roast or fry in hot oil and use them whole or ground to flavour curries, sambas, fermented breads, and chutneys. Egyptians used fenugreek paste on the body to reduce fever, and to cure chapped lips and mouth ulcers.